Well, uh, according to our submitter, you, um, win. So a girl is fat because she plays games. I don’t get how this guy thinks that men would be any different. 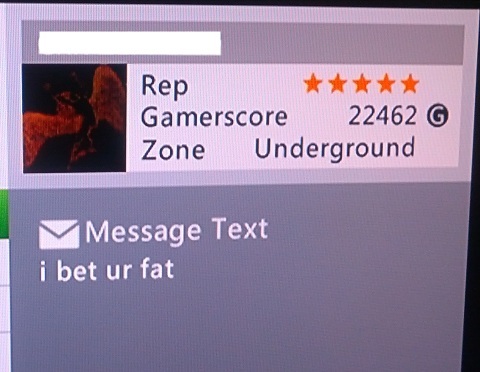 So…is he calling himself fat, as well? What can i say ? in my country sutch massage can get you in trouble, new laws, so know this that lots of gamers don’t have a girlfriends or girst that you can be with, so they assume that they need to show off to girls during games. So i can say that you can ingore, report or fight back with would be pointless bethous it would be endless battle :D. Well atleast in my country there are more women then man but there is very little women who plays games, they all using facebook,skype and t.t. p.s. Sorry for my mistakes. Lithuanian Rimvydas. Given that he calls himself a Zeppelin….